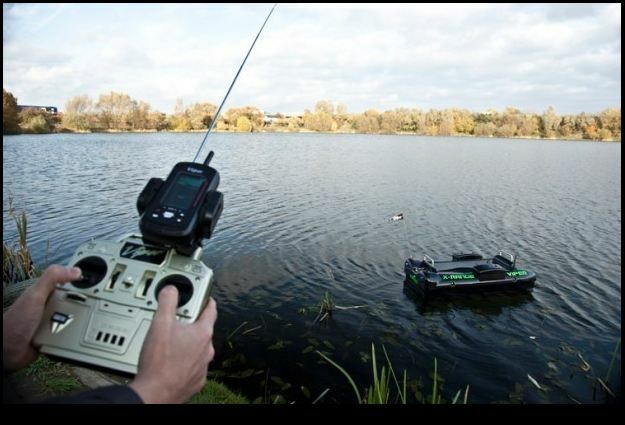 Newsflash We’re bringing you the latest, greatest in Rc Fishing moments! This phenomenal story just came down the wire! A few days ago Mr. Alman Caught a Tuna while Deep Sea Fishing and we were lucky to have caught the story firsthand. We had the pleasure to talk one on one with one “Mr. Alman” who told us all about his great adventure RC Fishing in the Indian Ocean! As we soon find out this is anything but a normal fishing story, it’s one I would have never thought possible! It starts out like any other fishing story, with a twist. First Mr. Alman decides he wants to use a remote control fishing boat on his upcoming fishing trip. In preparation for the trip Mr. Alman, buys the “Radio Ranger” He likes the rc boat called the “Radio Ranger” because it’s big 380 motors, and at 32″ it’s big, it appears it will be seaworthy, since he plans to use it in the Indian Ocean. We might add he also buys an extra 3000mah extra battery. Now, while normally most people go rc fishing around lakes and ponds, there’s no reason why it wouldn’t be just as useful, and fun in the ocean! One of the great features people like about RC Fishing boats are the ability to precisely deliver the bait to a place you normally can’t cast. Mr. Alman tells the story like this. He and his friend are in a boat 12 miles offshore and arrive to a good fishing spot. They know that the fish tend to be around the big oil tankers, he tells his friend to stop so he can drive his bait out to the tanker with the “Radio Ranger” his friend disagreed and wanted to just drive the big boat next to the tanker. After bringing the boat to the tanker he said the big outboard motors had scared off the fish. They retreated away from the tanker a few hundred feet and deployed the “Radio Ranger” with the baited hook in tow. Bammo “Fish On”! Mr. Alman delivered the baited hook and dropped his line next to the tanker, and just as he got the “Radio Ranger” back to the big boat he feels a hit! He hardly believed how big a strike it is, “It’s a Yellow Fin Tuna”! Our biggest, This is the 32″ “Radio Ranger” Remote Control fishing boat. It’s almost 3 feet long, that is a big RC Boat for catching fish! The biggest rc fishin’ boat we have! Catch any size fish with this huge one! The Radio Ranger is great around the dock fishing for little fish, the kids love it! Pull in the fish with the “Radio Ranger” or use the line release. The Radio Ranger can also drive out 300 feet, so for the real fisherman it’s not only a blast, it’s very useful for driving the fishing line out to record distances, and getting the line where you can’t cast! There’s never been more fun fishing than being able to use a remote control boat and going fishing at the same time. The Radio Ranger is not like the novelty “toy” boats that catch only little fish, The Radio Ranger with the RC Fishing Pole is designed so you can catch big fish too! Put the 32″ Radio Ranger in the water, and go fishing the new way, rc fishing! Fish Fun Co. remote control boats are for real fishing. Catch small Panfish, Bass, and big fish like Pike! The Radio Ranger is the biggest rc fishin’ boat around! The Radio Ranger comes with complete, illustrated, easy to understand fishing instructions, and everything to get started rc fishing. For small fish attach your line to “The RC Fishing Pole”, (included) , and the boat pulls em. For big fish attach the line from your fishing rod. Instead of casting, you drive your line out, when a fish hits, the line disconnects, and you reel em in! Hours of exciting remote control fishing fun at the lake, or on the pond! ← RC Fishing Boat Videos added to RC Fishing World website! I really like this site and RC Fishing Boat on Deep Sea Fishing Trip Catches a Tuna! Remote Control Fishing Boat, Blog! . I read about you on another site I found on Yahoo and thought they had great views as well. Howdy thank you for the cool entry. Great work in this post! It was quite insightful. I have saved the link to your web page and I am certain that I’ll come back again in the future.